Google Voice replaces all the basic services a wireless carrier provides, except for the actual data and voice. Google controls your phone number -- often used by carriers as a bargaining chip when you want to terminate a contract early -- manages voicemail, sends free text messages, and sets its own rates on international calls. So much for being bound to the ways of AT&T or Verizon Wireless. As Google experiments with Gigabit-per-second broadband in a handful of cities, the company assured mobile service providers that it has no plans to compete with them. This is from the company that bid, albeit unsuccessfully, for wireless spectrum two years ago. If I were a telecom, I wouldn't buy Google's assurances. With the Nexus One, Google decided not to sell the phone through T-Mobile's physical storefronts, instead offering it directly through Google's own Web site. This allows Google to sell both subsidized and unsubsidized phones. The strategy hasn't paid off yet, and I have a feeling telcos are hoping it never does. 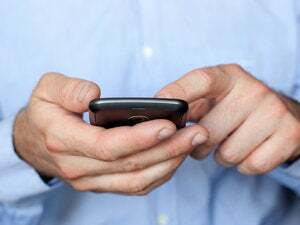 Beyond voice, text, and data plans, wireless providers sell extra services for a monthly charge, such as GPS navigation or AT&T's FamilyMap, which helps parents keep tabs on their children. But those paid features aren't necessary when you have an Android phone with Google Maps Navigation and Latitude, offered for free. So, if you're a wireless service provider, and Google's taking control of so many ways you used to make money, maybe you can turn to advertising, right? The only problem is, Google's got a tight grip on that, too. Today, Vodaphone chief executive Vittorio Colao threw the "M" word around, saying Google's too powerful in the mobile ad space, and needs government scrutiny. Schmidt's response? "As long as we're pro-consumer we'll be fine."